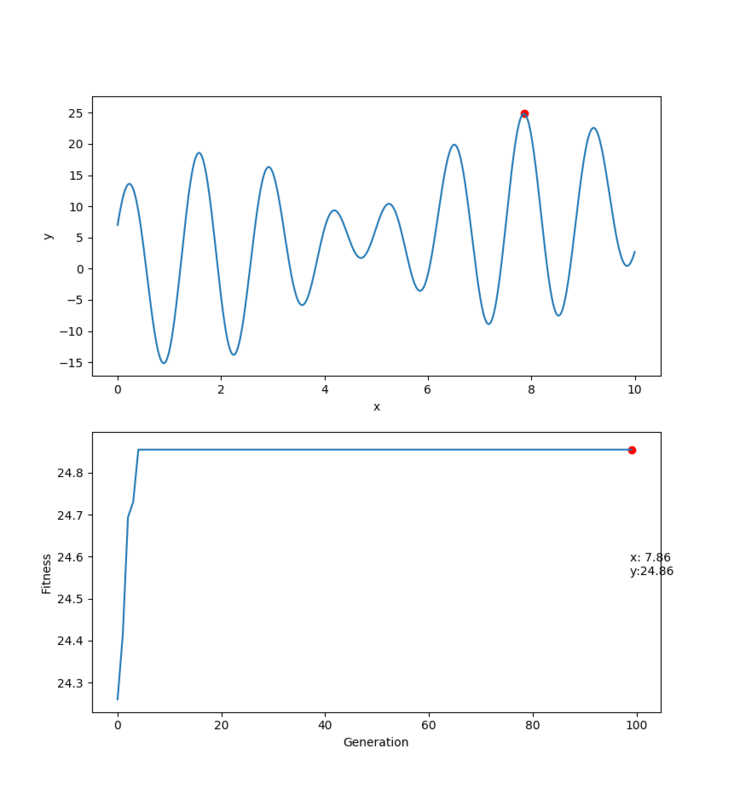 GAFT is a general Python Framework for genetic algorithm computation. It provides built-in genetic operators for target optimization and plugin interfaces for users to define your own genetic operators and on-the-fly analysis for algorithm testing. GAFT is now accelerated using MPI parallelization interfaces. You can run it on your cluster in parallel with MPI environment. GAFT requires Python version 3.x (Python 2.x is not supported). See INSTALL.md for more installation details. # Analysis plugin base class. population.init()  # Initialize population with individuals. # Use built-in operators here. You can define your own genetic operators for GAFT and run your algorithm test. The plugin interfaces are defined in /gaft/plugin_interfaces/, you can extend the interface class and define your own analysis class or genetic operator class. The built-in operators and built-in on-the-fly analysis can be treated as an official example for plugins development.